Whoow, not an easy fit this record. The music is not simple straight riff-based metal. Back in the line-up again is A.J. Minette; he temporarily left the band to study classical music. He is the main songwriter and you can hear that he uses certain classic influenced melodies in the music. This LA band hasn't made it easy for themselves by choosing this style of music. Travis Richter uses his raw and clean vocals in the several songs and he gets away with it rather well. You have to be patient listening to this album; it doesn't stick after two of three spins. A real technical metal fan is what you must be, otherwise I think you will put it aside after you've listened to it the second time. There is no doubt about the bands musical skills and I have to admit that after listening to it for several times I get the idea behind the songs. They are complex but well written and are certainly not freaky 'look how good I am on my instrument' songs. If you can find the time and patience to listen to this record time after time, you will find satisfaction in their music. 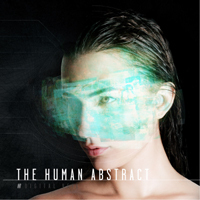 Keywords for this album: technical, complex, nice melodies.